Chail is a hill station located in the state of Himachal Pradesh in India. This is a beautiful place surrounded by ice capped hilltops and lush green velvety valleys. Chail was created by Maharaja Bhupinder Singh when he was barred from Shimla and decided to make his own capital during the summers.This state is undeniably a great place to be and here you can see the beautiful Chail Palace which is grandeur in its. Chail is a beautiful and serene place which is decorated with a palace and the place is artistically decorated with lovely log huts, dense forests, attractive cottages where you can go for quiet walks with your partner. Chail is also called as a ‘lover’s hill’, and it can be a fine honeymoon and holiday destination amidst the orchards, fine lawns, Whether you are on a honeymoon trip and in search of serene and quite place then Chail be a good option for you. In Chail you can visit the Heritage Hotel of the Chail Palace where you will be treated like a royal guest. The architecture of this palace is done with fine works and beautiful craftsmanship.You can you’re your favorite sports like badminton and lawn tennis in the lavish courts, also play billiards here and most importantly even you are visiting with your children they will be more than happy playing in the children’s park. This is a palace which has been converted into a heritage hotel and it was built in 1891, and you can have lavish rooms, beautifully designed cottages and every suite and you can view the spectacular sceneries and spend a memorable holiday here. 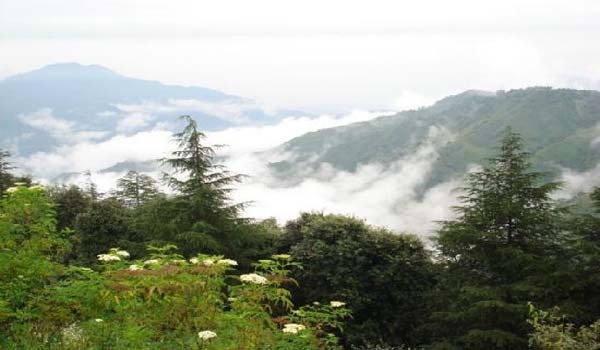 You can also visit the Chail Sanctuary where you can spot a number of wild animals and rich flora. In this sanctuary you can see large as well as small mammals that include leopards, wild boar, Himalayan black bear,kakka, ‘rhesus macaque, Black-naped Hare, Indian muntjac goral crested porcupine, common langur, sambar, Goral, also with various endangered species of reptiles and birds like red junglefowl, ‘khalij’ and ‘cheer’ pheasants. This wildlife sanctuary is spread across 10,000 hectares of land and set in the forests of oak and deodar. You can also visit the Chail Gurudwara which is one of the best attraction of this hill station and this was built by Maharaja Bhupinder Singh of Patiala. The architecture of this Gurudwara that resembles like a church and it has been preserved well by the government of Himachal Pradesh. If you are in Himachal Pradesh do taste the food of this taste which is more vegetarian and often made with no onions and garlic but they are authentically made with fresh spices and taste awesome. Do not forget to visit Kufri which is another hill station near Chail and you can have some beautiful moments here which you can spend with your loved ones in the spectacular and lush green valleys which you can look through long drives in between the forests. Help us to improve this article/list "Chail". We would be glad if you can comment below and provide your valuable suggestions and feedback. If this page about Chail have any wrong information/list or out of context content, then you can report us as well.